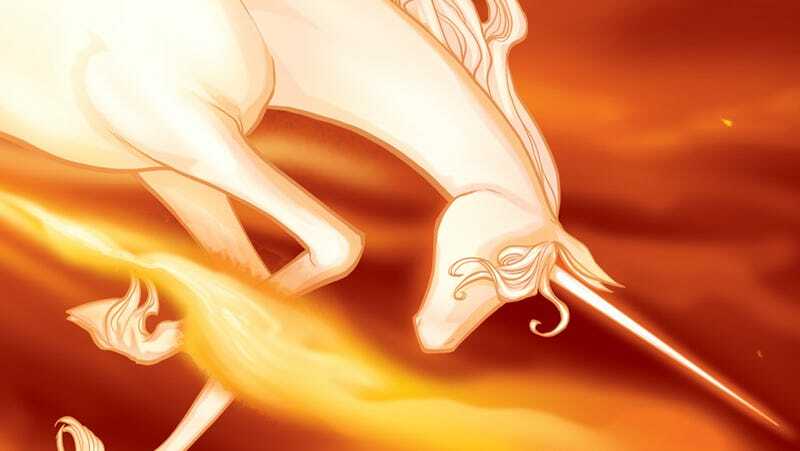 See a restored print of The Last Unicorn with author Peter S. Beagle! Peter S. Beagle changed many of our lives with his novel The Last Unicorn, which was turned into an animated film in the 1980s. Now, after years of legal wrangling, a restored print of Last Unicorn is out there, and you can watch it with Beagle himself on his birthday. If you are anywhere near San Francisco on April 20th (or just feel like coming) join us for this BIG DOUBLE EVENT - the kickoff of the worldwide Last Unicorn Theater Screening Tour, combined with Peter's 74th birthday party! The afternoon screening at the Castro Theatre runs from 11 AM to 4 PM, and the VIP evening birthday event at the Cartoon Art Museum runs from 6 PM to 8 PM. The Castro is located at 429 Castro Street, San Francisco CA 94114, and the Cartoon Art Museum is at 655 Mission Street, San Francisco CA 94105. To buy advance tickets for JUST the screening, click here. They only cost $8.50, plus a processing charge that depends on your choice of delivery. To buy tickets for the screening AND the VIP evening birthday party, click here. All three price levels ($25, $50, and $75) include reserved Castro Theater seating and VIP event entry. The $50 level also gets a you a membership in the Cartoon Art Museum, and the $75 level does all that for two people at once. Please note: ALL ticket revenues are going to the Cartoon Art Museum as a benefit fundraiser, along with a big chunk of any merchandise sales. So it's not just a great day of events, it's going to help support a marvelous institution. Peter's 74th is going to be one hell of a day, so we hope you'll join him in San Francisco to celebrate. And if you can't, well, we hope you will spread the word to everyone you possibly can, in every way that you can - and not just about this event, but about the whole two-year screening tour.